T-ball or baseball season beginning soon! If you have a little one in sports (or WERE ever a little one in sports) you know well enough that snack time after the game is the favorite part. 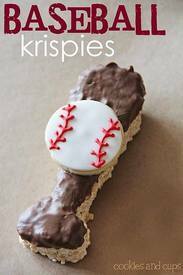 So, here’s a fun after-game snack. Enjoy!